C. Keith Feasel age 60 of Ashland, died Tuesday March 2, 2010 at his residence following an extended illness. Born on July 20, 1949 in Ashland the son of Merle L. and Charlotte (Latter) Feasel. Keith was a graduate of the Ashland High School Class of 1968. He had been employed at the Shelby Tube Company and also was a twenty four year employee of U-Brand Corporation. On August 24, 1969 he was married to Sandy Yarbrough who survives. In addition to his wife Sandy, Mr. Feasel is also survived by his mother Charlotte Hiemberger of Ashland; two sisters and brother in law, Deb (Tom) Kitchen of Ashland, Sharon Feasel ( Michael Wolf) of Ashland. Also surviving is his step mother, Dottie Feasel of Ashland. 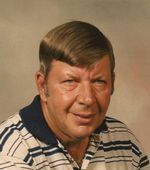 Mr. Feasel was a member of the Ashland County Paint and Plain Club, he was a Union Steward, and a member of the U-Brand 20+ Club he was also a member of the Ashland Dickey Church of the Brethren. Funeral services will be held on Thursday March 4, 2010 at 11:00 a.m. at the Heyl Funeral Home with Pastor Tom Zurcher officiating. Burial will follow at the Ashland County Memorial Park. Friends may visit with the family one hour prior to the funeral service from 10-11 a.m. on Thursday.